I was absolutely delighted to find out that I had been nominated for the BAPS SEND Blog Awards. There are lots of blogging awards out there but the BAPS (Bloody Awesome Parents) Awards is the only one dedicated to blogs about special educational needs and disability (SEND). 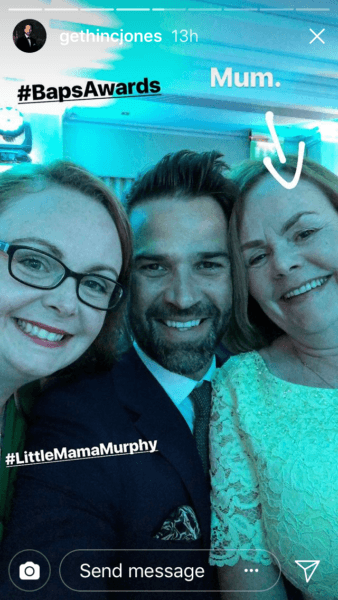 Although I can appreciate the humour and sentiment behind many of the mainstream parenting blogs, they don’t necessarily reflect my own parenting journey and, as such, I have struggled to connect with them. Among the SEND blogs, I have found people who share the same fears for the future and who face similar challenges around things like education or finding childcare. By reading those blogs, it helped me realise I was not alone. That’s why I think it is so important to recognise these blogs in their own right and why the BAPS Awards is such a good idea. There are some amazing SEND blogs highlighting the positives around disability, raising awareness, challenging stereotypes, campaigning for change as well as sharing the challenges and the highs and lows of life with a disabled child. It is an honour to even be listed alongside these people. I don’t class myself as a blogger really – I occasionally write about my son Hugh who has profound and multiple learning difficulties, usually moaning about our challenges with epilepsy. I started writing for myself – to get all those thoughts and feelings out of my head and to try and make sense of them. I never expected anyone to read it, just writing it down helped me feel more in control, although I occasionally shared things I’d written with family and friends as it was easier than having difficult and upsetting conversations face to face. However, other people started reading my ramblings and I was surprised and delighted to find that some of the things I wrote resonated with people and people could relate to the thoughts, fears and feelings that I had. My post ‘Dear Doctor’ was shortlisted for the Biggest Impact category and it is impossible to describe just how honoured I felt by that. The post itself was about the need to remain calm and in control in challenging situations but never to forget that I am ‘just’ a mother and this is my baby. Whilst I may appear to be coping, inside I am fighting hard not to cry. So many parents contacted me to say they too had been judged by that, often necessary, ‘tough exterior’ in schools, in hospitals and in medical appointments, so although originally titled ‘Dear Doctor’, I think it applies to most professionals working with families with a child with SEND. The BAPS Awards ceremony was a fantastic night. We were greeted with a drinks reception and it gave me a chance to mingle and chat to some of the other bloggers. There were some familiar faces there that I’d met previously but also some new people I’d only ever seen online. It was nice to put faces to names and to chat in person. Since we all blog about children with SEND, be that autism, genetic disorders or undiagnosed conditions, we all have lots in common already so it makes it really easy to talk. I admit, there were a couple of times I gushed that ‘I loved your blog’ and ‘I was so looking forward to meeting you’, particularly as the night wore on and the wine consumption increased. After a couple of glasses of champagne, to give me Dutch courage, I decided to introduce myself to the host Gethin Jones. Yes, he really is that good looking in real-life! He was lovely and explained that he had read all the blogs before coming to present the awards and even asked questions about Hugh and how being undiagnosed for so long had impacted on him/us. I was amazed that he had not only genuinely read my prattle but also remembered it and recognised some of the challenges faced by families of undiagnosed children. To actually win the Biggest Impact award was a huge surprise. I was up against some great blogs and really didn’t expect mine to win. I’m honoured that it did and it has inspired me to keep writing (though I know I’ll never manage to be one of those impressive blog-every-week types). Another finalist spoke to me that night and said my blog, and Hugh, inspires her to have hope for the future for her own son. That really meant so much to me and brought a tear to my eye. That is what is so important about BAPS Awards recognising the importance, and raising awareness, of all the SEND blogs out there – they can inspire hope and bring comfort to those parents just starting out on their journey. All in all, it was a fabulous night. I’m looking forward to next year’s one already. 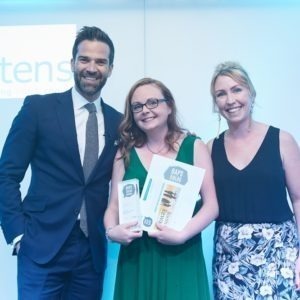 We are delighted to bring you an interview with the lovely Gethin Jones. Gethin, aside from hosting our BAPS Awards in May, also has his own autism charity, NAI.